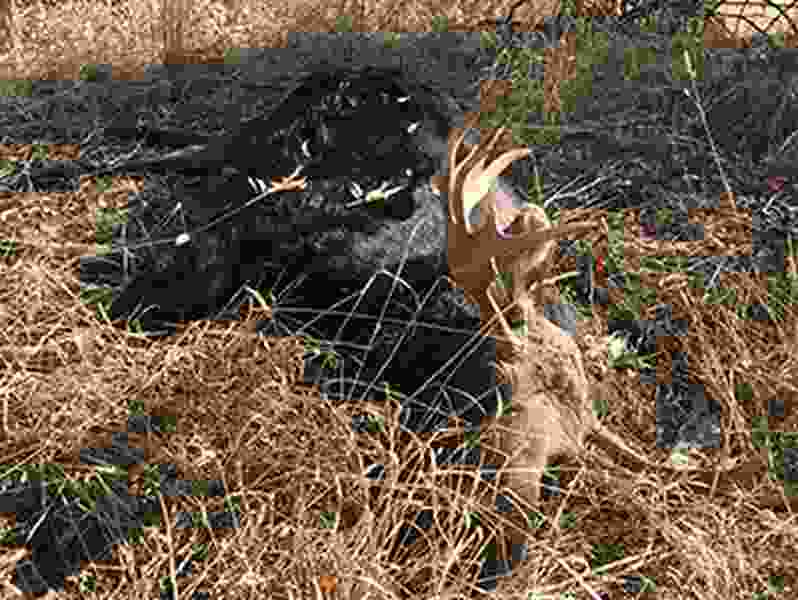 (Photo courtesy Utah Division of Natural Resources) This bull moose was shot and abandoned above Little Dell Reservoir. Somebody illegally shot and killed a bull moose in East Canyon earlier this week — and the Utah Division of Natural Resources is asking for the public's help to locate the poacher. According to DNR, at about 10 a.m. on Monday a “concerned citizen” was in East Canyon above Little Dell Reservoir and saw an unidentified man stalk the moose, then shoot it with a compound bow from about 20 yards away. The moose staggered “a short distance” before collapsing and dying. The shooter, leaving the dead animal behind, disappeared into the brush. He was wearing “older, military-style” camouflage clothing and a camouflage “boonie-type” hat. Anyone with information about the illegal moose slaying is asked to call the UTiP Hotline at 1-800-662-3337. Rewards are available and requests for confidentiality will be honored.